Home Remedies: Myths or Kitchen Miracles? I thought my aunt was pulling my leg when she once told me that she placed an onion beside her bed whenever she had a cold. She said that it killed the bacteria in the air; I did not believe her for a long time…until now. There is actual truth to some of these old home remedies that people swear by. If you have heard of any of these, give them a try (after you check with your doctor) and let me know what you think. Good ol’ Chicken Noodle Soup: Aids in decongestion. Add some spices like Cayenne pepper or Curry to stimulate circulation and loosen congestion. Steamed Pear and Sugar: Helps with persistent cough. Half the pear and remove the core. Fill the core with rock sugar or honey and steam it. The pear and honey help remove mucus and lubricate a dry throat. Pepper and Vodka: Helps reduce fever by increasing sweating. Mix 1 teaspoon of ground black pepper in 1 shot (1.5 ounces) of vodka and drink. It won’t be the best shot you have had, but they say it will help sweat out the fever. I have used a tablespoon of honey numerous times when my daughter has had a cough in the middle of the night (after she was one year old). Since some doctors, including ours, do not prescribe a cough medicine until an older age this has worked most of the time. Most of these do not have a curing effect, but a lot of time they take the edge off until a doctor can be seen. Here are a few more Strange but True Health Tips. I didn’t hear about Heloise until I was going into my junior year of college. I was so out of the loop that I pronounced her name Hello-se (please don’t ask me how I got that out of her name). My parents got quite the kick out of that and they still laugh about it today. Regardless of how you say her name, Heloise has some really great house hold tips that I thought most people would appreciate. Bug Free House: Place several drops of lavender or peppermint oil on a cotton ball or two. Put them into a small jar. Poke a few holes in the lid and cover. Put around the room. Removing Coffee or Tea Stains: Rinse area with cold water immediately. Rub in a couple of drops of a mild, white dishwashing liquid and rinse well. Then treat with a mixture of one-part white household vinegar and three-parts water. Rinse again and launder as you normally do. Note: If cream was used in the coffee, you may have to sponge the stain with dry-cleaning fluid. Removing Candle Wax from a Table Cloth: Let the wax harden—a quick way is to put it in the freezer. Then scrape it off the tablecloth with a dull knife. Place paper towels on both sides of the stain and set the iron on the warm setting, then iron (no steam) over the stained area. Change the towels often to absorb all of the wax. Launder as usual. Get Rid of Burnt Popcorn Smell in the Microwave: Fill a large microwave-safe bowl with one cup of water and sprinkle your favorite spice like cinnamon or add several drops of vanilla or lemon extract. Bring to a boil. You must let it sit inside for 10 to 15 minutes to cool down. Simply wipe the walls down with paper towels. Leave the door open to further air it out. A couple of these hit home for me, especially during my college years. With how many times we burnt popcorn in the microwave I sure wish I would have known about this remedy!! I’ve also been devastated to get wax all over a beautiful table cloth, I thought it was a gonner. Again, glad to know these now! What are some of your favorite home and/or health remedies? I love this kind of stuff. Especially since I don’t really like the weird chemicals often found in more processed items or medications. Ginger is very effective for curing cough and cold. It is very effective antibiotic product in winter season. 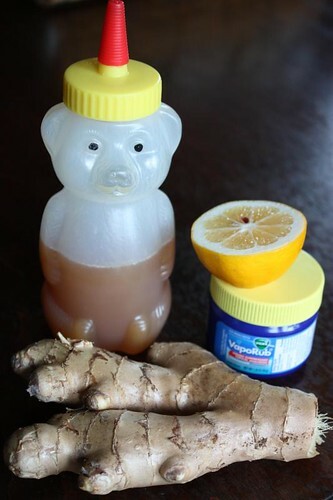 Mixture of ginger, honey and black pepper is one of the useful home remedies for cough and cold. From homeremediesfinder, I have got that mixture of ginger and vinegar cigar also helps in preventing the cough.